China and Japan have placed satellites in lunar orbit, with India and the United States to follow. Will new data confirm the Electric Universe hypothesis? On September 14, 2007, the Japan Aerospace Exploration Agency (JAXA) launched the Selenological and Engineering Explorer (SELENE) on a multi-year lunar orbit mission. Otherwise known as Kaguya, a nickname from Japanese folktales, the SELENE spacecraft is designed to provide data for future landing sites and to analyze the surface. Upon lunar orbit insertion, Kaguya released two sub-satellites, Okina and Ouna. One of the remotes will act as a relay for the main equatorial imaging system and the other as an additional radar platform in polar orbit. As long ago as 1974, electrical engineer and researcher, Ralph Juergens identified many problems with the standard interpretations of lunar topography. Juergens focused on two major structural features on the Moon and described the inadequacies in the accepted theories of their formation. A previous Thunderbolts Picture of the Day discussed the bright rays of Tycho Crater (and other craters) and proposed that they are not the mark of meteoric impact ejecta but are the sign of a plasma discharge. The plasma arcs excavated the crater, but first they drew electrons from halfway around the Moon to form the initial "leader stroke" into space. That explains why the bright rays converging on Tycho do not point to the crater's center. The powerful "return stroke" that traveled back along the conductive pathway and formed the crater had moved on in that brief instant. 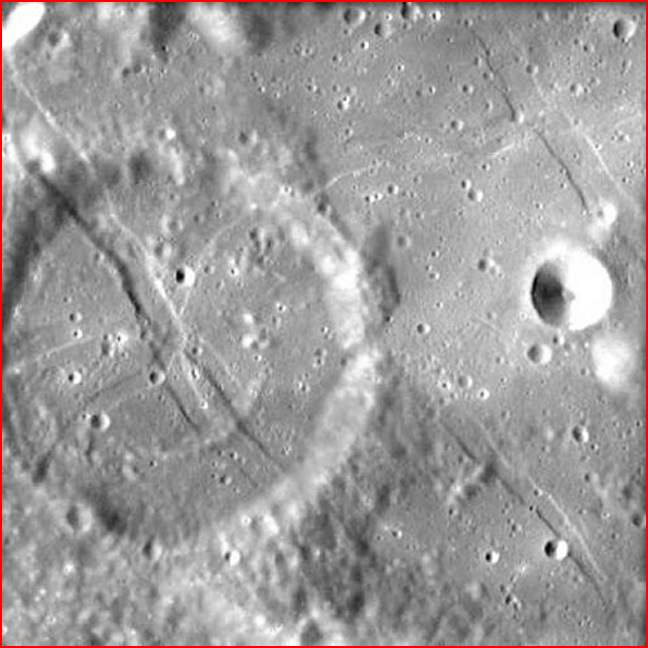 Another set of features identified by Juergens as electrical phenomena is the "sinuous rilles" that wend their way through the lunar landscape. Because the Moon exhibits very little geological activity, Juergens thought that the rilles might have formed in a catastrophic event that left its forensic evidence behind. The Moon has no atmosphere, so its surface is similar to a vacuum-sealed and freeze-dried environment, perfectly preserving any remains like fossilized imprints. 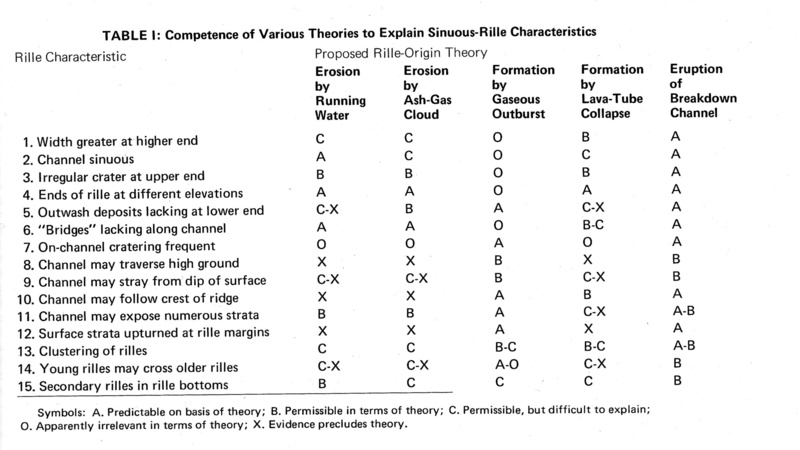 Using his specific insights, Juergens knew that the rilles, in particular, could not have been created by the collapse of lava tubes or by liquid flowing across the surface. When a lava tube collapses, the roof caves in and leaves heaps of debris clumped on the floor. Such debris is missing from the rilles. "The electric field between anode and cathode must build to an intensity great enough to 'pull' electrons from the cathode by sheer force - tearing electrons from non-conducting lunar crustal materials and in numbers sufficient to trigger an interplanetary discharge.... In a flash, the tiny breakdown point becomes a breakdown path propagating itself outward from the starting point, turning this way and that as the intense field at its tip probes for weaknesses in the rock strata." As more information has come in from various telescopes around the world and from space-borne systems, the same features seen on the Moon have been discovered on the moons of other planets and on the planets, themselves. Since Juergens' day, there have been Venus probes, Mars rovers, a Saturn orbiter, a mission on its way to Pluto and several more voyages of exploration into space. 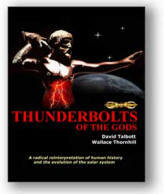 They have provided the Electric Universe hypothesis with an embarrassment of riches while causing the conventional theorists to invent new "corrections" for the standard theories of solar system evolution. The cameras onboard Kaguya are of a resolution much greater than anything previously launched, so they will be providing a more detailed map to explore. The spacecraft also contains gamma ray detectors, charged particle detectors, radar scanners, IR detectors and HDTV optical imagers. In the next few months, we predict that new images and telemetry will help to confirm the theories of an early EU proponent, Ralph Juergens, who has lent inspiration to new generations of investigators.